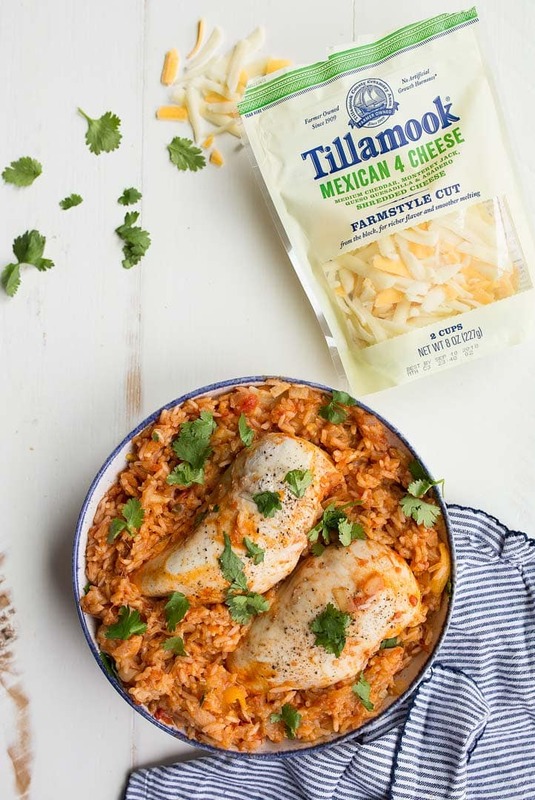 Instant Pot Salsa Chicken with Cheesy Rice is a quick one-pot meal in the Instant Pot mini! This post has been sponsored by Kroger and Tillamook. All thoughts, opinions, photos and recipe are my own. 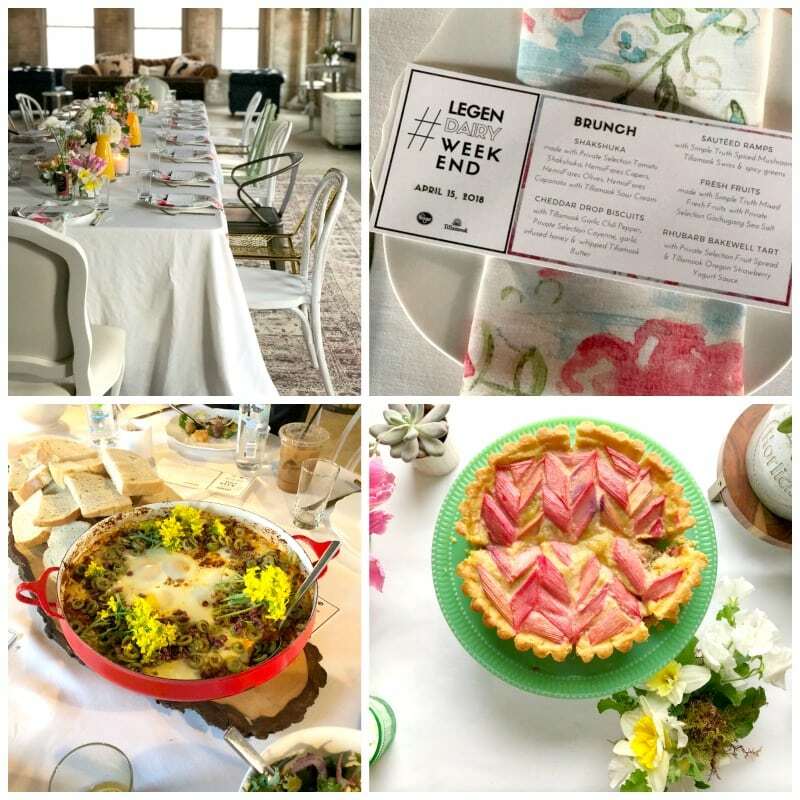 A few weeks ago, I had a ‘legenDAIRY’ weekend in Detroit, and I’m finally sharing all of the details! If you followed along on my instagram, you saw so much good food, good friends, good cocktails and good vibes. It was such a fun, refreshing weekend. 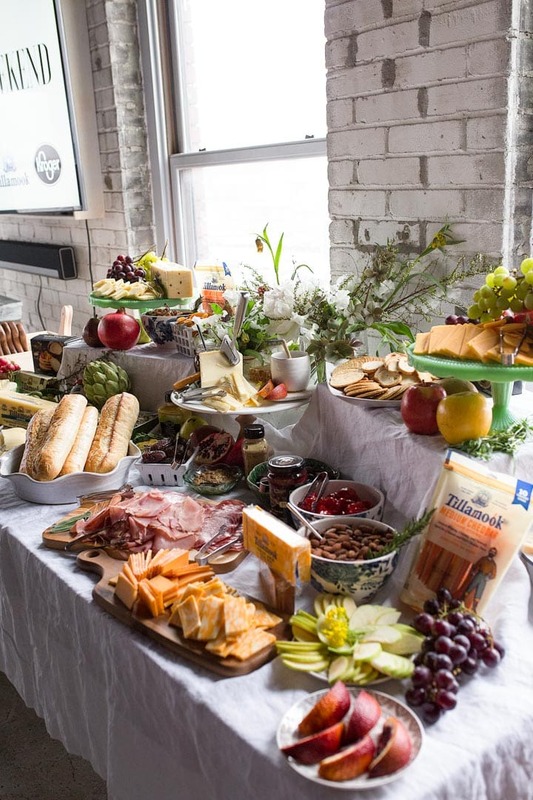 The trip was actually a party to celebrate the expansion of Tillamook products in select Kroger stores nationwide. I was invited because I’m a loyal Kroger shopper. I have a Kroger Marketplace near me, and it’s the only grocery store I’ve ever shopped at that always has everything I need. Seriously, I’ve lived in 4 states in the last 6 years, and I’ve had to shop at multiple stores for years. But not anymore! And, I believe I was also invited because hidden cameras in Kroger captured just how many Tillamook products I buy on a weekly basis. (Just kidding about that one). Anyway, Sarah, Tessa, Maria, Chelsea, Maegen, Becky, Jamie, Liz, Ashley, Rachel, Heidi, Lena, and Monique and I all gathered for the weekend party. 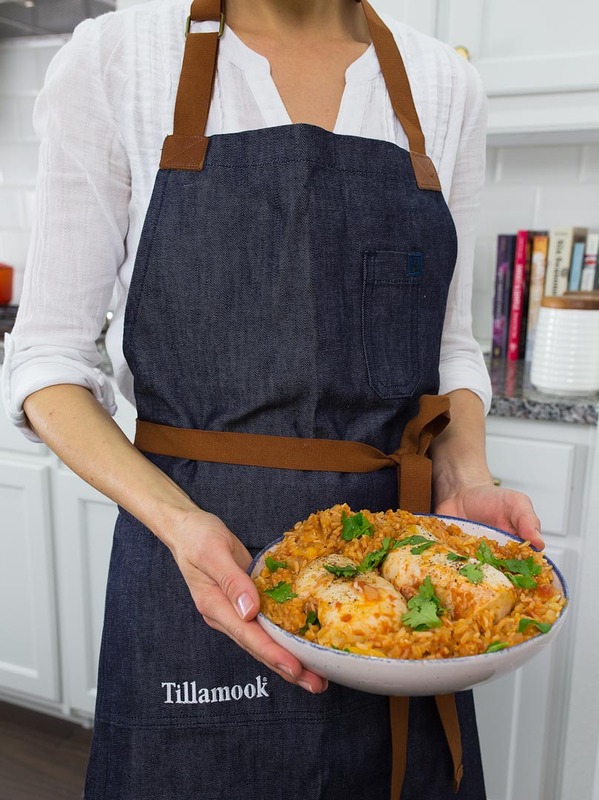 Everything we ate was infused with Tillamook dairy products (from yogurt smoothie bowls, gougeres, ice cream, cheese boards, and even cocktails). 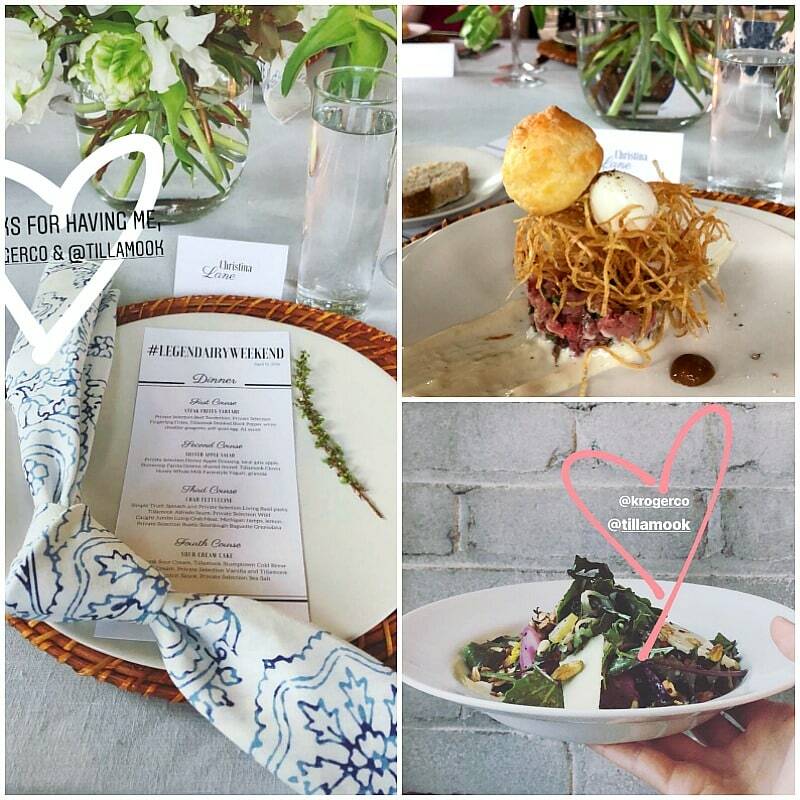 On Friday, we all arrived and sat down to a dinner prepared by local chef Sarah Welch from the newly opened Detroit restaurant Marrow. 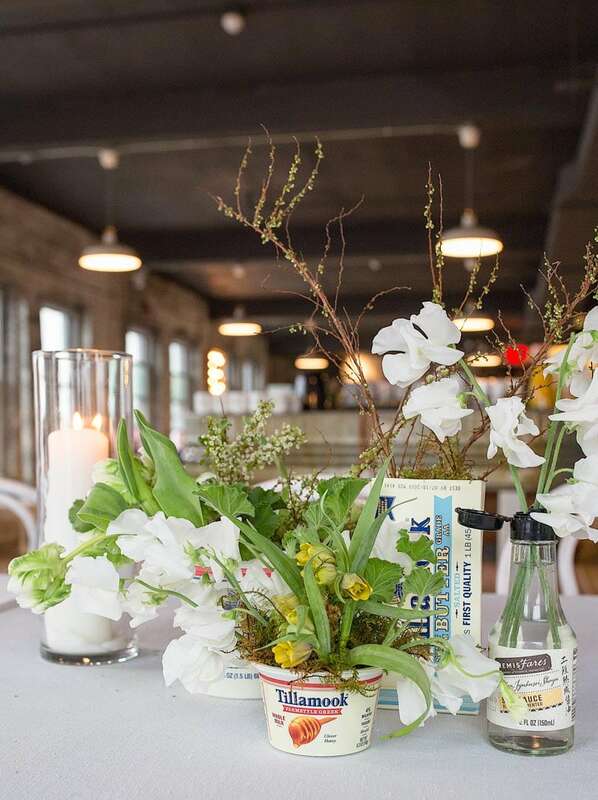 She featured Tillamook Cheese and the best of local Detroit produce in every course, and it was amazing! Her beef tartar with frites, quail egg, and Tillamook Cheddar gougeres stole my heart, but then she followed it with a dandelion salad, crab pasta, and mini cake bites with Tillamook Stumptown Coffee Ice Cream quenelles, and I basically had to be rolled home in a food coma. After a quick sleep in the lovely Detroit Foundation Hotel (a former fire house converted into a beautifully modern hotel! 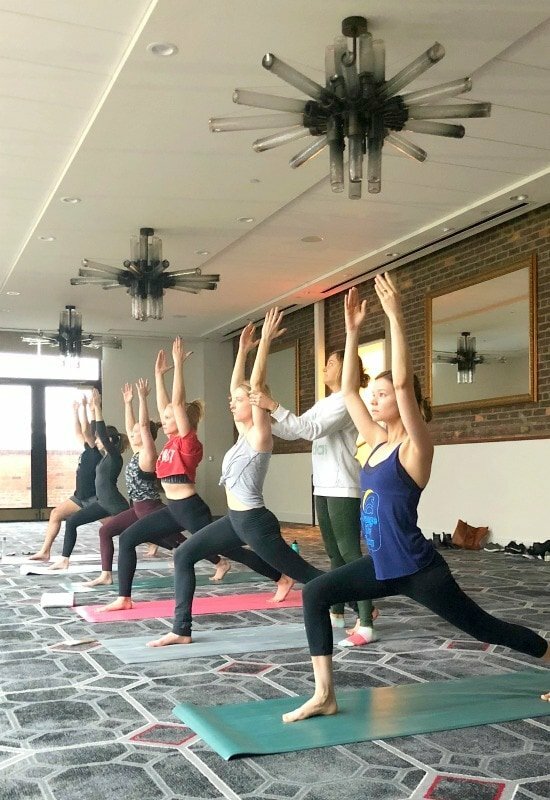 ), Liz pulled me out of bed for a morning yoga class. I’m so glad she did, because I needed to stretch my stomach to prepare for the day’s eats! 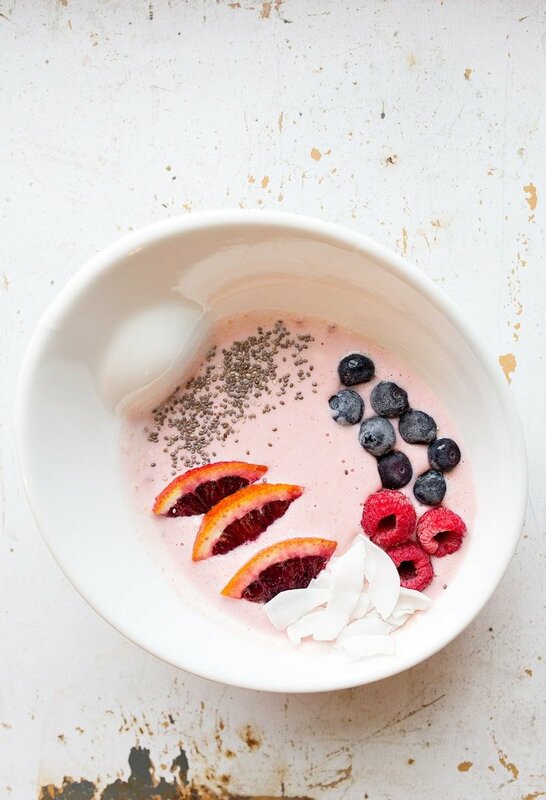 After yoga, we headed over to make smoothie bowls using Tillamook’s Farmstyle Yogurt, and Lena and I styled a pretty pink yogurt bowl topped with blueberries and chia seeds. And then we ate it up so fast, it was almost as if it never happened. Then, the fun part began. You guys know I have a background in agriculture, yes? Kroger invited a Tillamook employee to teach us about their practices. 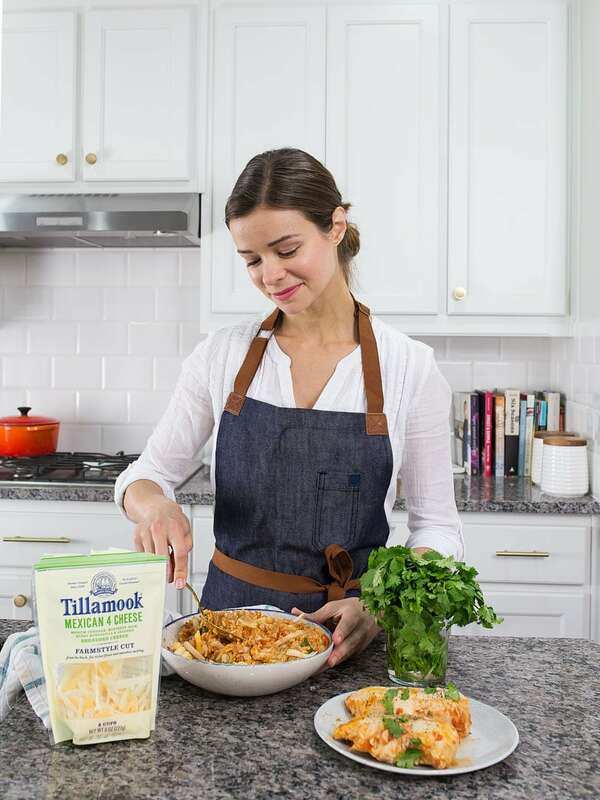 Tillamook is a farmer-owned dairy co-op in Tillamook, Oregon that has been making exceptional dairy products since 1909. The dairy products are produced by nearly 100 farm families who run their farm according to high standards and produce high-quality rich milk. She taught us how to pull a cheese sample, and it was harder than it looked! It was great to hear about how responsible the farms are managed and just how many quality control check points there are in the process. Lunch was an epic cheeseboard display, where we all practiced styling a cheeseboard before consuming them. Such delicious work! 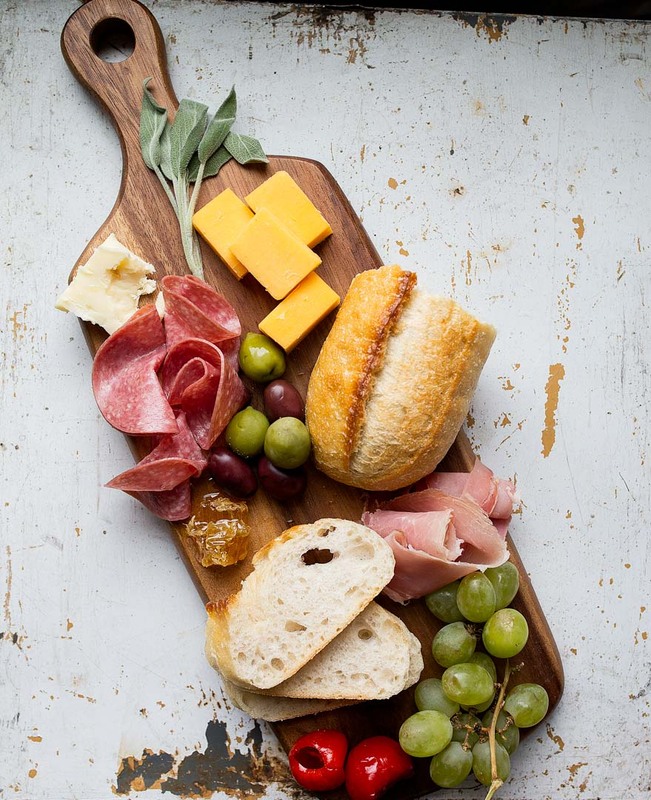 My cheeseboard featured the Tillamook 3-year Aged White Cheddar, and it completely took my breath away with its complexity. I’ll be looking for that one in the stores! 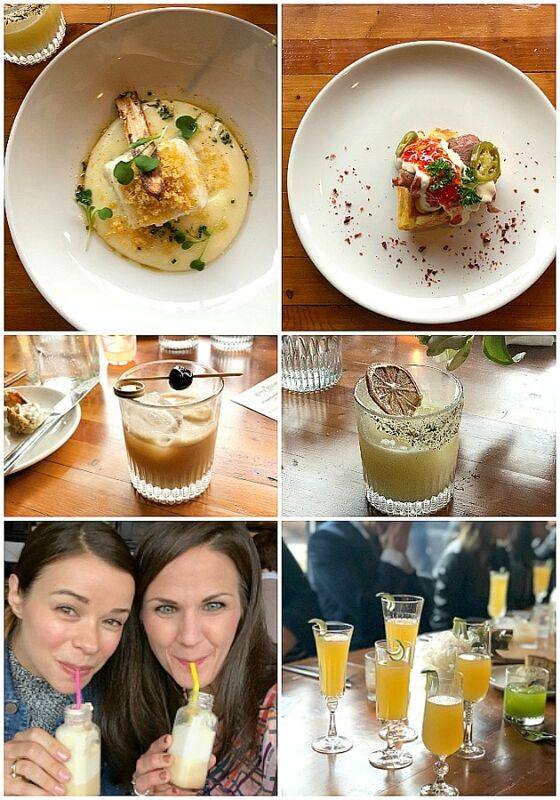 Let me preface what happened next by saying I never expected 6 courses of delicious food with 6 perfectly paired cocktails to land in front of me. The chef and mixologist at Grey Ghost served us the most delicious things! I slept so well that night (equal parts amazing hotel bed and full stomach), and woke up to enjoy a final brunch with everyone. Just when we didn’t think we could eat anymore, brunch was perfection. I have to admit my favorite thing was the gochujong-spiced fruit! But, I did love the shakshuka and the pretty rhubarb bakewell tart! Ok, that’s a lot of food, drink, and dairy products. Thanks for following along! 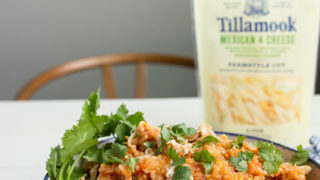 Be sure to check your Kroger stores for new Tillamook products, and then let me know how much you guys love them! 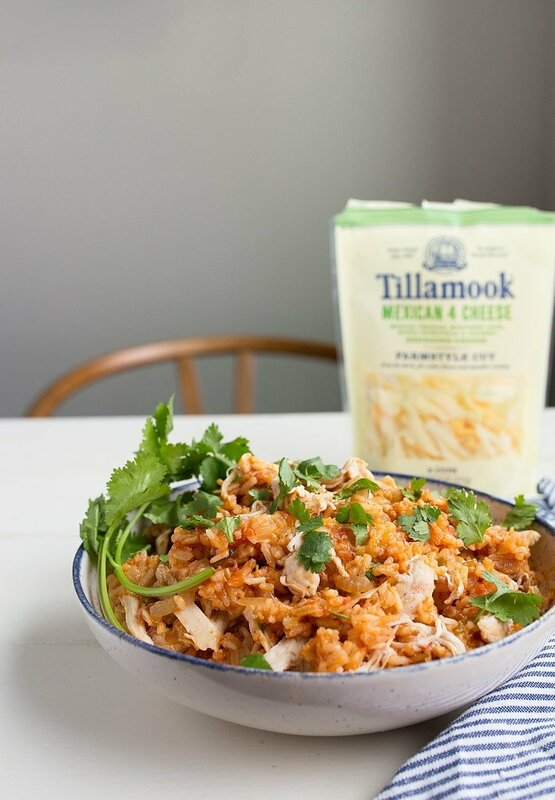 If you have to pick, I would grab the Tillamook Farmstyle Cut Shredded Cheese blends, because you’ll notice immediately that their shredded cheese is a cut above the rest—the shreds are so much bigger and thicker with a better melt! I made this Instant Pot Salsa Chicken with cheesy rice to test the melt on the Mexican blend, and I’m happy to report that it was incredible. I love using my instant pot mini to make one-pot meals like this, and the extra cheese at the end ensures my entire family (toddler included) will eat dinner! And just in case you’re looking for my collection of recipes for the instant pot mini, I’ve got you covered with more than just this instant pot salsa chicken. 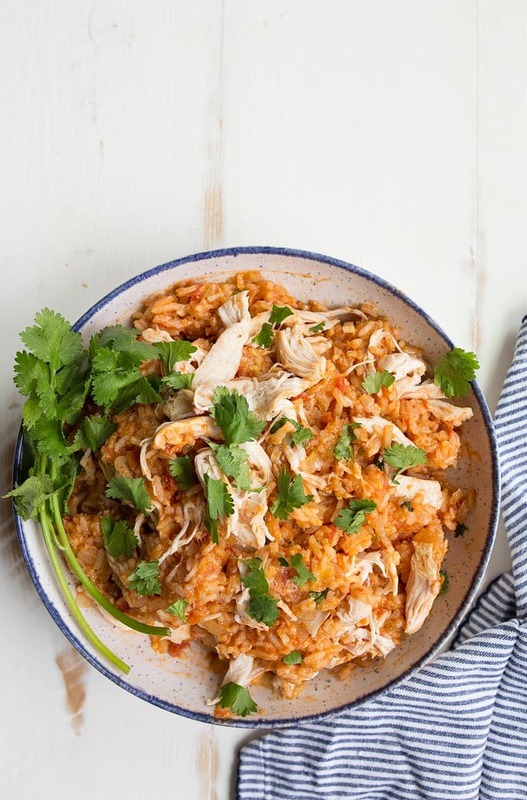 If you make this instant pot salsa chicken with cheesy rice, let me know how it goes. Also, please tell me which salsa you used because I’m always looking for new ones to try! Instant Pot Salsa Chicken made in the Instant Pot mini. Plug in your Instant Pot mini cooker, and turn it to SAUTE. Add the oil and diced onion, and cook until the onions turns translucent (about 4 minutes while stirring frequently). Next, stir in the garlic and cook while stirring for about 15 seconds. Turn the Instant Pot OFF. Add the salsa, chicken stock, cumin, coriander, salt, pepper, rice and stir it very well. Lay the chicken breasts on top. On the Instant Pot, press the PRESSURE COOK button and set it to HIGH. Use the buttons to set the time to 10 minutes. Place the lid on the instant pot, turn the valve to ‘SEAL’ and let it come to pressure. It will take about 15 minutes to come to pressure. When the 10 minutes is up, leave it for about 10 minutes to complete a natural pressure release. The valve should fall during this time. Remove the lid from the Instant Pot, and fluff the ingredients with a fork. Pour the rice, chicken and salsa mixture into a bowl. While its still hot, add the cheese and stir to mix. (It’s up to you if you want to shred the chicken or leave it whole). Leftovers keep covered in the fridge for up to 3 days. *If your Instant Pot is giving you the 'BURN' signal, it's most likely because the salsa you used was too chunky and dry. I'm using a very liquid-y salsa for this recipe. Try adding 1/2 cup of water and proceeding with the recipe. Yummy! I have the regular instant pot. What would the measurements be for that with this recipe? I’d like to know this too! Have a 6 and 8 qt myself. This sounds really yummy! I’ve read recipes done in the instant pot that can be done with frozen chicken. Have you ever tried doing that? How much extra time would it take? I haven’t tried it with frozen chicken, I’m sorry! I’m thinking it would just take an extra 5 minutes or so? Could I sub brown rice? I’m assuming it would be a time adjustment. Oh gosh, Ashley, I didn’t test it that way. But you’re right, brown rice takes much longer to cook. I’m worried your chicken would dry out with the extra cooking time. I’m sorry! If you pre boil the brown rice for around 10min then add it to the IP it should work. oh my gosh! can’t get over how good this is! it turned out perfect! so great for an easy weeknight meal! Do you ever have problems with your mini pot reading ‘burn’? Mine does about every time I’ve used it, even this recipe! :( I have to shut it off, stir it, get all the burnt stuff off the bottom of the pot, then restart the time. What am I doing wrong?? Mine has never had that happen, Tiffani! I’m sorry :( I think the manual says you’re supposed to add a bit more water. Hi Kayla! Do you have a slow cooker? I attempted this twice and both times my IP said “burn” :( . Any idea what I could be doing wrong?? Hi Jen! I’m so sorry this is happening to you! There’s a comment above about the salsa not being liquid-y enough. IS your salsa ‘chunky’ style and on the drier side? That might be why :( I’m so sorry! Hello my name is danielle. I have tried this recipe twice now and its delicious. My only issue is that I follow everything to the letter, but my ip never comes up to pressure. Which results in just undercooked chicken every time. I have narrowed it down to either not enough liquid, salsa is too thick, or needing to reposition ingredients. Any suggestions? Has anyone else encountered this with the 3qt mini duo? Oh no, Danielle! I’m so sorry this is happening to you! This has happened to me one time, and it was because my sealing ring wasn’t on correctly. Did you check your ring? Is it a new ring? Other than that, you might be right about the salsa not having enough liquid in it. I can imagine a chunkier salsa not having enough liquid to fully coat the rice. Do you mean to cook a normal 8oz cup of rice amd a normal 8oz cup or broth? Or to use the measuring cup that comes with the IP? Tried to make this and it wouldnt work. I think maybe too much rice and food for my IP. everything was undercooked/raw but the rice on the bottom burned. I’ve heard this before, and we determined that it’s the type of salsa used. I used a liquid, runny salsa, which serves as part of the liquid for the rice. If you’re using a chunky, thicker salsa, it doesn’t have enough liquid to cook the rice. I apologize! I’ve updated the recipe to reflect this. If you want to continue to use your chunky salsa, add 1/2 cup – 3/4 cup of water and proceed with the recipe.